When you “sign-up” for valuedopinions.com you are actually applying to become a panelist. I haven’t heard of anyone being denied, but it’s something different. The sign-up process requires that you give them some personal information, like home address, phone number, etc. Overall, it’s a fairly quick sign-up. Valuedopinions.com has by far sent me the most surveys compared to any other paid survey site. Within the first day I was offered 2 surveys. Most offers pay $2.00 for about 20 minutes. That’s about $6.00/hr which is better than most online opportunities. The surveys are hard to qualify in to. I honestly haven’t qualified for a survey yet, but I have gotten about ten offers in the past week. From what I’ve noticed from taking the screener surveys, the paid surveys are long, sometimes repetitive, and boring. However, they do pay. I have seen actual payment proofs in forums and so far I have read of no payment complaints. It’s a reputable company, so I wouldn’t worry about whether you will receive payment. Even though this review of Valued Opinions says the surveys are hard to qualify into and are boring, I’ve heard plenty from people who “happen” to qualify into surveys and complete about two per day, averaging a little over $20 per week. If you have the patience and luck to qualify to take the surveys, I would recommend Valued Opinions. Be sure to check out our list of Free Paid Surveys. SurveySavvy is by far my new favorite paid survey site. I got my first check from them a few weeks ago very shortly after I requested it. I love that they require no minimum account balance to request a check. Not only that, but it is very reassuring to find a paid survey site that actually pays! SurveySavvy usually sends me about one screener survey per week. Once in awhile I get accepted to the study and I am promptly requested to complete a full length survey. They pay fairly well for your time. I have found that I average about $12/hr completing SurveySavvy’s surveys. I would strongly recommend signing up with SurveySavvy. It’s been awhile but I’ve finally come across a new paid survey website. 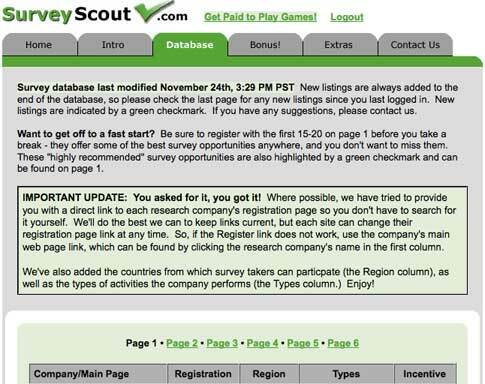 Your Free Surveys looks to be a promising paid survey website with quite a bit of useful links and information. I looked around online but I couldn’t find any valuable reviews on the site, so I did some snooping around. 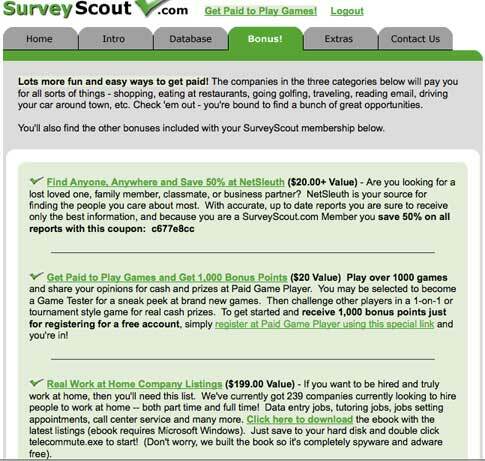 It turns out that Your Free Surveys is more than just a paid survey website. The offer a blog with information about the best paid survey sites and some information on which sites to look out for and the best way to complete online surveys. Really, there’s a wealth of knowledge there. Here’s the link tot heir blog: Your Free Surveys blog. I would recommend signing up with Your Free Surveys, it has a lot to offer. If anyone is already a member of their site be sure to comment on this post and let us all know your own experience! My biggest annoyance with making money online is having to pay websites who promise that I’ll make thousands of dollars. It would be fine with me if they took a small percentage of my earnings (maybe around 3%) if I used their program to make money online. At least then I would know that their program actually works, or else they wouldn’t make any money either. Everywhere I read things like, “You shouldn’t have to pay to make money!” and “Getting a job should be free.” But since we’re working online and only completing paid surveys or similar, are we technically getting a job? Even if we are, everyday people pay companies to help them find jobs. By now you’re probably thinking that this is outrageous and that I don’t know what I’m talking about. Personally, I think that making money online should be free. All these paid survey companies and paid offer companies are making more money off of everything we do for them than they pay us. One thing I realized is that I’ve never had to pay to sign up with a paid survey website. In fact, I don’t think I’ve ever had to pay for signing up with any “get paid to” website. The only sites that I’ve seen that require a fee are the ones who claim they have the method or program that will make you hundreds of dollars. So, you have to think; are you paying to get a job or are you paying for a program that shows you how to get paid surveys, or likewise, online. Technically when you sign up for a paid survey site you aren’t getting a job, and they clearly state that in the Terms and Conditions. Unfortunately most of these paid survey programs just throw you a list of paid surveys that you could have gotten anywhere else for free and give you barely any advice whatsoever. Even worse is that on top of the fee they get for your membership they make money every time you sign up for a website through them. Basically, they could have given you a free membership and still made a ton of money off of you. Makes it feel like you’re being taken advantage of, huh? All in all, you shouldn’t have to pay to make money online. Some ways of making money online, such as affiliate programs, may be more profitable if you invest a little money in advertising, however in order to take paid surveys or do other “get paid to” programs, you should never have to pay. After trying those programs that promise you’ll make hundreds, if not thousands, of dollars, I can honestly say that they do not work and that all the information they offer can be gotten for free at other places (like Flurbl.com!). Feel free to take advantage of our free paid survey database and send us an email (support@flurbl.com) if you have questions about making money online or if there’s something you’d like to be written about.